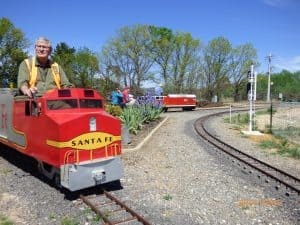 Miniature Train Rides this Sunday at Canberra Miniature Railway, Jerrabomberra Avenue, Symonston between 10.00 am and 2.30 pm. Free parking. Canteen facilities. Rides are only $3.00 or $15.00 for an all day ticket and as many rides as you can fit in! Enclosed footwear PLEASE!